Restaurant business loans are critical to small restaurants because running such a competitive enterprise is a costly affair. 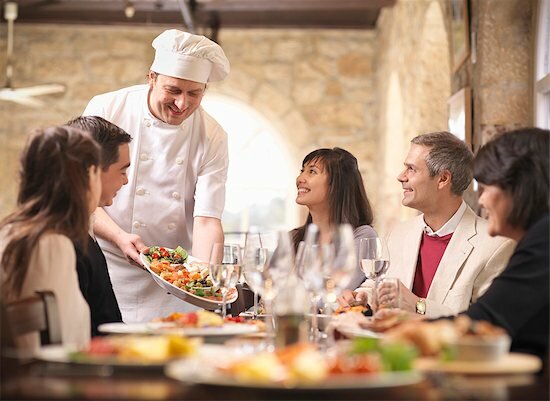 Restaurant business owners or the people who operate food service or dining establishments understand that it needs external fast restaurant financing in the form of small business restaurant loans along with passion, time, efforts and unparalleled culinary skills to grow it to its full potential. If you are a small business woman or man in need of a viable alternative to business loans for restaurants from banks, then there are flexible options for restaurant funding available. One such best choice is alternative restaurant business loans or business cash advance from trusted online lender such as Business Advance Funding. What is an Alternative Business Loan for Restaurants? It is a non bank alternative to small business loans for restaurants that can help borrowers like you with the needed quick restaurant finance on easy terms. Restaurant business owners can apply for industry specific funding with alternative business lenders both online and store front. However, short term restaurant business loans from online merchant service companies are the best because they understand the credit needs of your small restaurant better. The availed restaurant financing option or business cash advance online can be used for funding your business expansion needs; working capital finance; covering the costs of hiring additional staff or chef; adding a patio or bar; paying for employee wages, financing inventory, etc. Where to Get Fast Small Business Loans for Restaurants with High Approval Rate? Restaurant small business funding or loans are usually offered by community banks and other traditional business financing institutions. You can consider restaurant loans for start ups that include short-term micro loans and rural bank loans, if you have a great credit history and assets to serve as collateral. However, food and restaurant loans have high rate of default and hence banks and credit unions do not easily offer business merchant cash advance to poor credit borrowers or borrowers with no collateral. Therefore, if you are looking for one simplified, convenient, collateral-free loans, then bad credit business loans for restaurants from Business Advance Funding can be of immense help. Besides, such a business financing serves multiple restaurant concepts. Business Advance Funding is a reliable online merchant funding company, specialized in offering unsecured restaurant loans of up to $500,000 for different dining service formats. Food service and restaurant industry is prone to encounter multiple unexpected operating costs and other working capital needs and hence we work with small business restaurant owners or operators of established restaurants closely to understand their funding needs. Therefore, we aim to make the capital business loan for restaurants process very trouble-free and convenient for you. Besides, to promote women entrepreneurship, we also offer quick small business loans to women owned restaurants with affordable rate. Working Capital Loans - Food and restaurant business owners need to deal with seasonal cash flow fluctuations and hence reserve cash is crucial. Working capital advance helps to deal with such sudden restaurant financing needs. NOTE: For a complete list of small restaurant business concepts we cater to, please fill out our no obligation application. Small restaurant owners can use business loans for restaurants to deal with a host of challenges that are unique to the industry. When your cash reserves are depleting or you want to upgrade and expand your food service enterprise, fine-tune your business for success by applying for restaurant business loan today.